Editor’s note: This is the second installment in a 10-part series previewing issues and legislation likely to dominate the 2019 Montana Legislature, written by students in the University of Montana’s School of Journalism and distributed by UM’s Community News Service. (UM Community News Service) Anti-abortion legislation has failed consistently under Gov. Steve Bullock’s tenure, but three bills, and perhaps more, are in the works before the 2019 session begins. As he did in 2017, Sen. Al Olszewski, R-Kalispell, has requested a bill that would ban abortions after a fetus is considered “viable” at around 23 weeks. Fellow Kalispell Republican Derek Skees is considering the idea too. 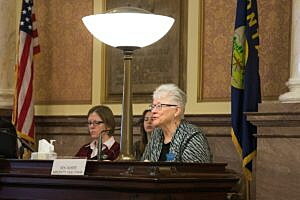 “I am planning for this bill, to pursue in the same way as last session’s viability bill. It would be for pre-born children, for those that would be viable outside of a womb,” Olszewski said. While this remains an important issue for Olszewski, he said it is not one of his priority bills because he expects to focus largely on the state budget and Medicaid expansion. Still, he added, it’s important to keep the issue in front of Montanans. Meanwhile, Rep. Theresa Manzella, R-Hamilton, is considering a referendum asking voters to declare that abortion is not a constitutional right. Sen. Diane Sands, a Missoula Democrat who has served on the boards of both Planned Parenthood and NARAL in Montana, said Democrats will be ready in opposition. 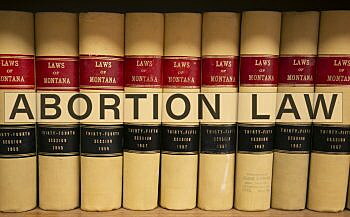 Last session, Olszewski’s Senate Bill 282 would have prohibited most abortions after they are considered viable, or able to survive outside the womb. Last session’s other major anti-abortion bill came from Sen. Keith Regier, R-Kalispell, which would have prohibited abortion at about 20 weeks, unless there is a risk to the mother. He argued then that the timing was related to when a fetus can feel pain. Sands, citing her more than 40 years as an activist, says that not only is this a women’s rights issue but it is also a privacy issue. This story was written for the University of Montana’s Community News Service, which features coverage from students at UM’s School of Journalism. Editors with questions about this story may contact reporter Alina Sturgess (alina.sturgess@umontana.edu) or supervisor Dennis Swibold (dennis.swibold@umontana.edu).